Is your job more of a nightmare than a dream? Do you know exactly what it is you would rather be doing to make a living, but you simply don’t know how to get there? It’s time to make your dream job a reality! The first step to getting your dream job is committing to the process. If you aren’t 100 percent serious about changing your life forever, then you’ll never really get started, and you’ll languish in a role you hate for the rest of your life. Committing can be as simple as scheduling time to look for a new role or something more serious like quitting your current job or committing to extended learning with CSUSM-EL to ensure that you have the skills you need to succeed. It doesn’t matter how you show your commitment, just do what you’re comfortable with, but actually, do it! The next step is to get seriously organized about going for that dream job. Update your resume; put together a tight portfolio that really shows what you’re capable of; schedule regular ‘job search’ times, so that you can look for any and all opportunities available to you and ensure that you have a solid presence on any of the major sites that recruiters in your dream profession will look at. It always pays, when you’re looking to switch careers, to thoroughly research any and all organizations that might be suitable. Then, create a shortlist of companies you might want to work with and who may be willing to employ you. Read everything you can about them, and you’ll be in an excellent position to act should a vacancy become available. 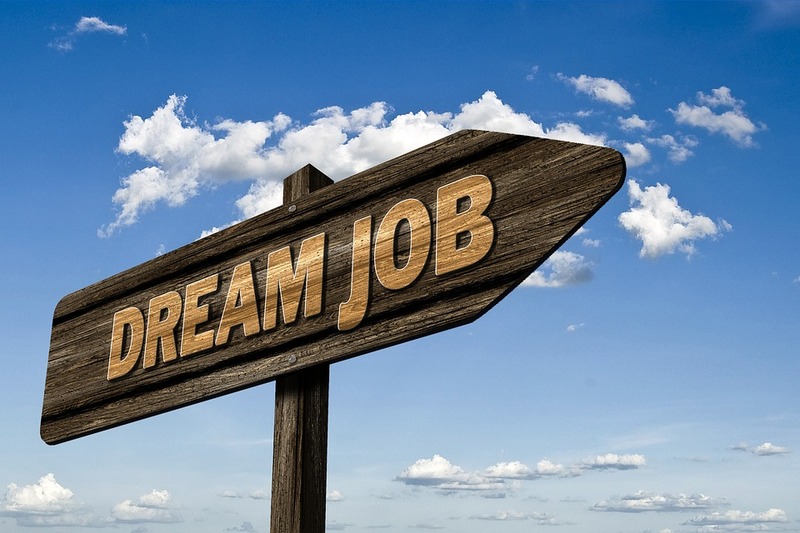 If you don’t quite meet the requirements for your dream job, then, of course, you will need to start brushing up your skills, getting qualified and taking any necessary exams. Luckily, there has never been more convenient ways to learn just about anything, so this should not be too difficult for most of you. It is still the case that, if you want to get anywhere in the world of work, then knowing the right people will give you a distinct advantage. So, start attending conferences linked to the industry you want to be in, join professional associations if you can, add people on LinkedIn. Basically, just do anything you can to build up a set of contacts who may be able to help you get to where you want to be. It may take time, and it will certainly take courage and effort, but if you implement these steps, then your dream job really could become a reality, and probably sooner than you would think.